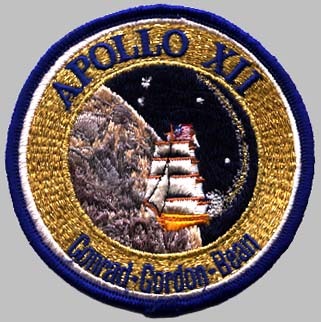 14 Apollo Mission Patches | Arthur Brown Jr.
On July 16th, 1969, the Apollo 11 mission took off on its voyage to the moon, the now famous first manned flight to the moon. The Apollo 11 mission was the culmination of the great challenge issued by President Kennedy that challenged a nation and indeed the world to put a man on the moon before the end of the decade. There would 6 more mission after Apollo 11 but non more famous. 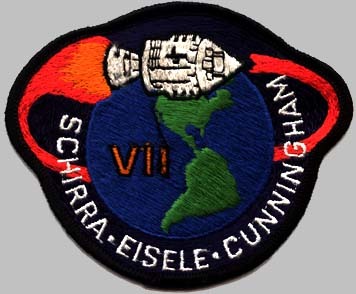 Below are the mission patches for fourteen of the Apollo missions with a brief description of the mission. 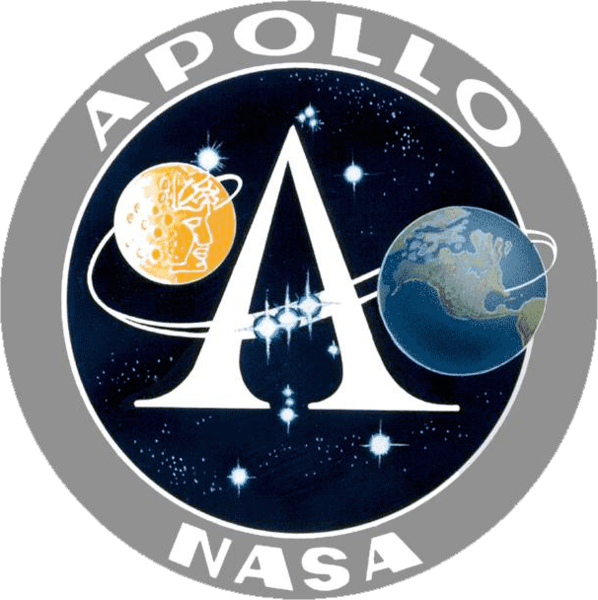 Apollo 1 (initially designated Apollo Saturn-204 and AS-204) was scheduled to be the first manned mission of the U.S. Apollo manned lunar landing program, with a target launch date of February 21, 1967. 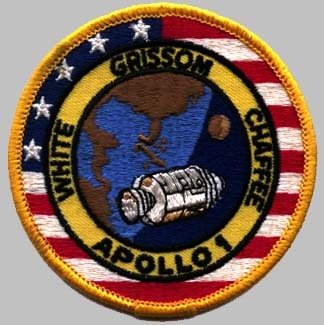 A cabin fire during a launch pad test on January 27 at Launch Pad 34 at Cape Canaveral killed all three crew members—Command Pilot Virgil “Gus” Grissom, Senior Pilot Edward H. White and Pilot Roger B. Chaffee—and destroyed the Command Module. 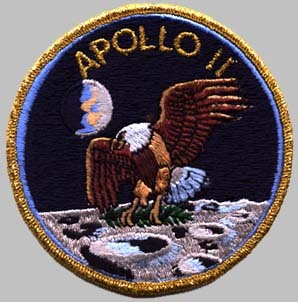 The name Apollo 1, chosen by the crew, was officially retired by NASA in commemoration of them on April 24, 1967. Apollo 4, (also known as Apollo-Saturn 501 and AS-501), was the first test flight for the Saturn V, the launch vehicle which was ultimately used by the U.S. Apollo program to send the first astronauts to the Moon. Apollo 4 flew without a crew, and was an “all-up test”, meaning all rocket stages and spacecraft would be fully functional on the initial flight, a first for NASA. It was the first time the S-IC first stage and S-II second stage flew. It also demonstrated the S-IVB third stage’s first in-flight restart. The mission used a Block I Command Service Module (CSM) modified to test several key Block II revisions, including its heat shield at simulated lunar-return velocity and angle. Apollo 5 was the first unmanned flight of the Apollo Lunar Module, which would later carry astronauts to the lunar surface. It lifted off on January 22, 1968 with a Saturn IB rocket. Apollo 6, launched on April 4, 1968, was the second mission of the United States Apollo Program and last A type mission—unmanned test flight of its Saturn V launch vehicle. It was also the last unmanned Apollo flight. Apollo 7 was the first manned mission in the United States Apollo space program, and the first manned US space flight after a cabin fire killed the crew of what was to have been the first manned mission, AS-204 (later renamed Apollo 1), during a launch pad test in 1967. It was a C type mission—an 11-day Earth-orbital mission, the first manned launch of the Saturn IB launch vehicle, and the first three-person US space mission. The crew was commanded by Walter M. Schirra, with Command Module Pilot Donn F. Eisele, and Lunar Module Pilot R. Walter Cunningham. Apollo 8, the second crewed mission in the United States Apollo space program, was launched on December 21, 1968 and became the first human-crewed space craft to leave Earth orbit, reach the Earth’s Moon, orbit it and return safely to Earth. The three-astronaut crew — Commander Frank Borman, Command Module Pilot James Lovell, and Lunar Module Pilot William Anders — became the first humans to travel beyond low Earth orbit, the first to see Earth as a whole planet, and then the first to directly see the far side of the Moon. The 1968 mission, the first crewed launch of a Saturn V rocket, was also the first crewed launch from the John F. Kennedy Space Center, Florida, located adjacent to Cape Canaveral. Apollo 9, was the third manned mission in the United States Apollo space program and the first flight of the Command/Service Module (CSM) with the Lunar Module (LM). 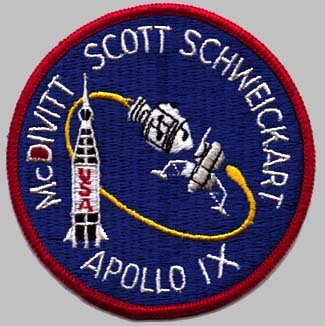 Its three-person crew, consisting of Commander Jim McDivitt, Command Module Pilot David Scott, and Lunar Module Pilot Rusty Schweickart, tested several aspects critical to landing on the Moon, including the LM engines, backpack life support systems, navigation systems, and docking maneuvers. The mission was the second manned launch of a Saturn V rocket. 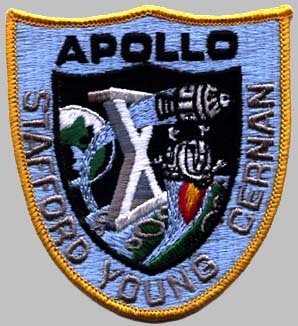 Apollo 10 was the fourth manned mission in the United States Apollo space program. It was an F type mission—its purpose was to be a “dry run” for the Apollo 11 mission, testing all of the procedures and components of a Moon landing without actually landing on the Moon itself. 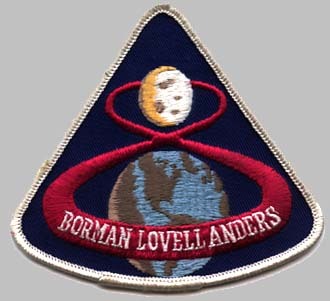 The mission included the second crew to orbit the Moon and an all-up test of the lunar module (LM) in lunar orbit. The LM came to within 8.4 mi (13.5 km) of the lunar surface during practice maneuvers. Apollo 11 was an American spaceflight in which Neil Armstrong and Buzz Aldrin became the first astronauts to land on the Moon on July 20, 1969, at 20:18 UTC. Further, Neil Armstrong became the first to step onto the Moon 6 hours after the landing on July 21, 02:56 UTC. A third member of the mission, Michael Collins, was waiting to pick them up in an orbit around the Moon. They all returned to Earth safely after travelling in space for 8 days. 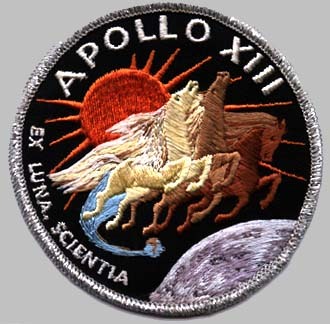 Apollo 12 was the sixth manned flight in the United States Apollo program and the second to land on the Moon (an H type mission). It was launched on November 14, 1969 from the Kennedy Space Center, Florida, four months after Apollo 11. Mission commander Charles “Pete” Conrad and Lunar Module Pilot Alan L. Bean performed just over one day and seven hours of lunar surface activity while Command Module Pilot Richard F. Gordon remained in lunar orbit. The landing site for the mission was located in the southeastern portion of the Ocean of Storms. Key objectives were achievement of a more precise landing (which had not been achieved by Apollo 11), and to visit the Surveyor 3 probe to remove parts for analysis. The mission ended on November 24 with a successful splashdown, having completed the main mission parameters successfully. 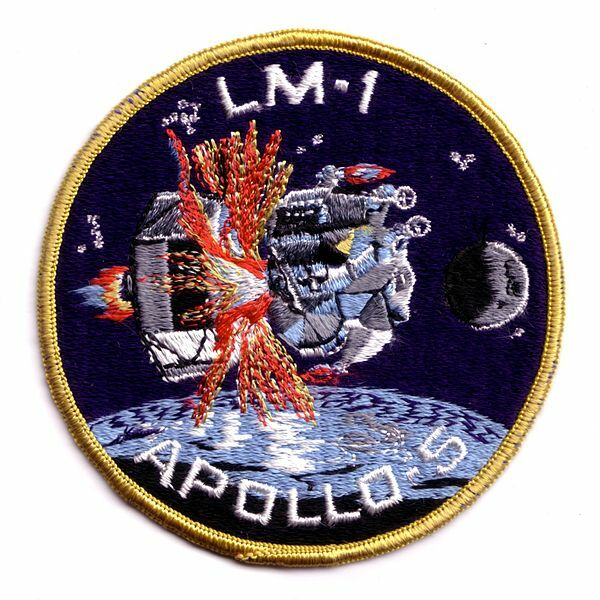 Apollo 13 was the seventh manned mission in the American Apollo space program and the third intended to land on the Moon. The craft was launched on April 11, 1970, at 13:13 CST from theKennedy Space Center, Florida, but the lunar landing was aborted after an oxygen tank exploded two days later, crippling the service module upon which the Command Module depended. Despite great hardship caused by limited power, loss of cabin heat, shortage of potable water, and the critical need to jury-rig the carbon dioxide removal system, the crew returned safely to Earth on April 17. 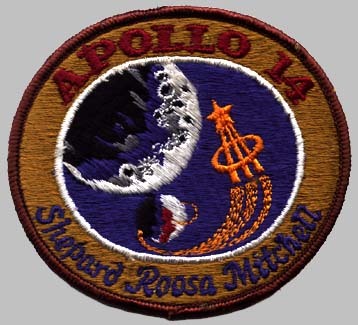 Apollo 14 was the eighth manned mission in the United States Apollo program, and the third to land on the Moon. It was the last of the “H missions”, targeted landings with two-day stays on the Moon with two lunar EVAs, or moonwalks. 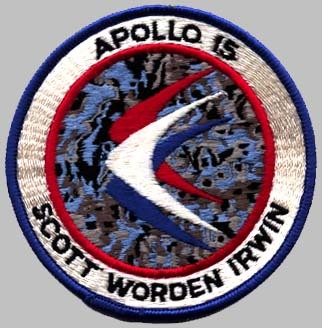 Apollo 15 was the ninth manned mission in the United States Apollo space program, the fourth to land on the Moon and the eighth successful manned mission. It was the first of what were termed “J missions”, long duration stays on the Moon with a greater focus on science than had been possible on previous missions. It was also the first mission where the Lunar Roving Vehicle was used. 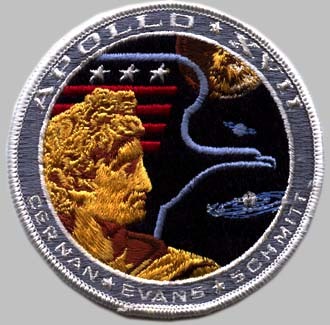 Apollo 16 was the tenth manned mission in the United States Apollo space program, the fifth and penultimate to land on the Moon and the first to land in the lunar highlands. 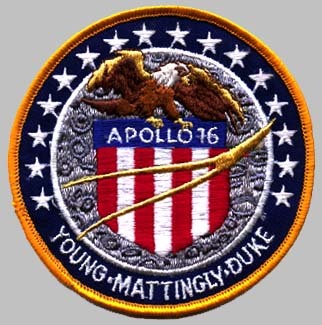 The second of the so-called J-missions, the mission was crewed by Commander John Young, Lunar Module Pilot Charles Duke and Command Module Pilot Ken Mattingly. Launched from the Kennedy Space Center inFlorida at 12:54 PM EST on April 16, 1972, the mission lasted eleven days, one hour, and fifty-one minutes, and concluded at 2:45 PM EST on April 27. Would love to know what its like to go into outer space and for the people who have gone into space and returned to Earth, just like to say thank you for exploring the unknown and being brave enough and lucky enough to come back and share your experiences with us. Will do a feature in the future on mission patches from other nations around the world.